Much of my attention this week has been focussed on preparations for the commemorations of the centenary of the end of World War I. These preparations have included two workshops for clergy and readers on appropriate Remembrance Sunday resources, and preparing a sermon and service for this group of parishes. This year marks 100 years since the guns fell silent at the end of World War I. Those who survived hoped it would be ‘the war to end all wars,’ but the last century has seen millions more suffer in conflict all around the world. We must never forget the sacrifices made in war – we must also always continue to strive for peace. In my preparations I have drawn inspiration from the way this centenary is being marked at Lichfield Cathedral, where there has been a seasonal programme of services and events throughout the year. 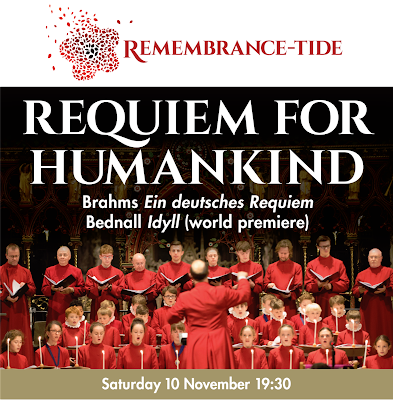 On the eve of Remembrance Day, the Requiem for Humankind on Saturday 10 November is presented by the Lichfield Cathedral Choral Foundation and Chamber Choir with the Darwin Ensemble Chamber Orchestra. 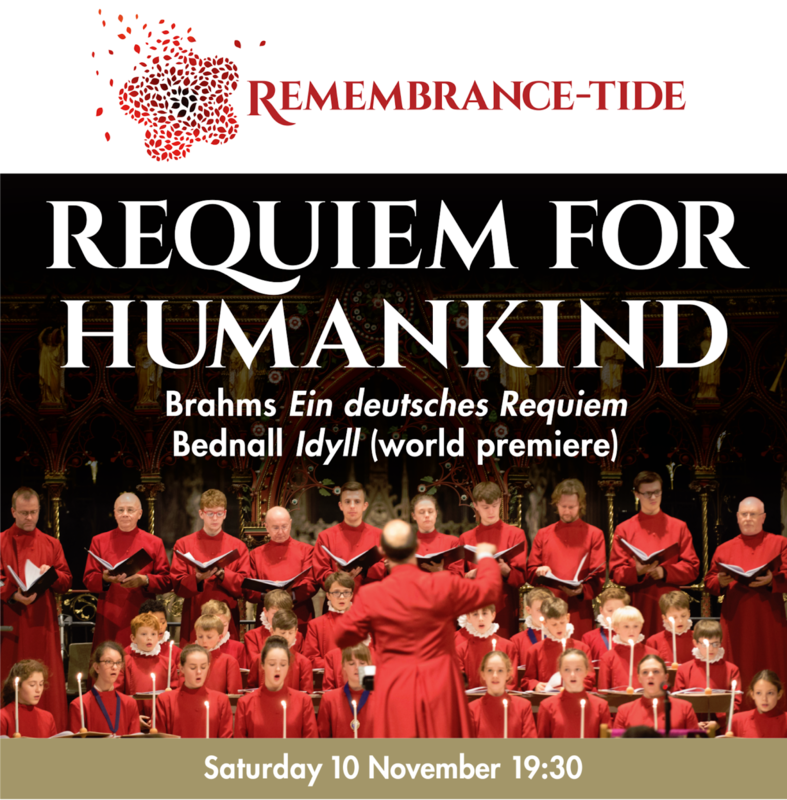 Brahms conceived his Ein deutsches Requiem (‘A German Requiem’) as a balm for humankind focusing on those left grieving. This sense of comfort in the face of death is echoed in Idyll by David Bednall, a world premiere of a new choral setting of a poem by the war poet Siegfried Sassoon. Eleanor Sterland is the Soprano, Francis Ambrose is the Baritone, and Benjamin Lamb the Director. 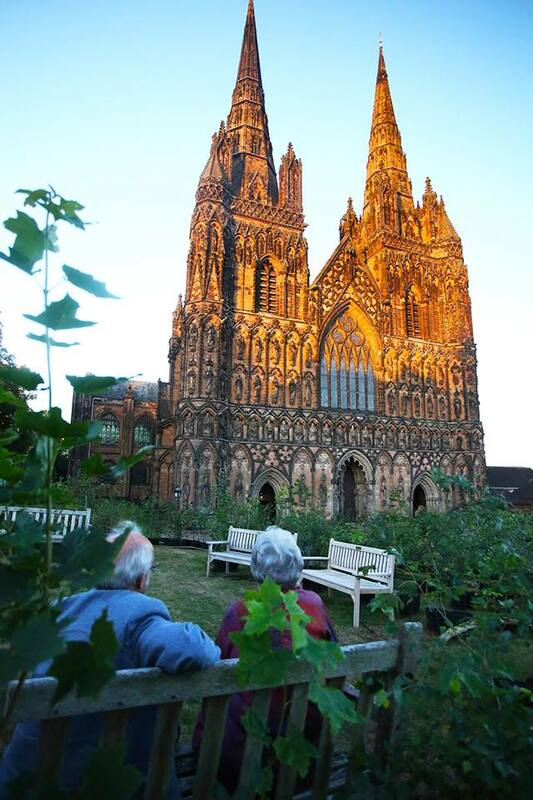 Throughout this year, Lichfield Cathedral has been working in partnership with Lichfield Historic Parks to create a new Peace Woodland in Beacon Park. The Peace Woodland will be a permanent living artwork created by Lichfield Cathedral’s artist-in-residence Peter Walker. During the year, the Parks team has been saving 1,918 local trees that would otherwise have been felled. Volunteers will pot them ready to start planting on Armistice Day, 11 November 2018. The Peace Woodland will open at Easter 2019, a time to rejoice in new life, hope and the promise of peace on earth. £25,000 is needed to make the Peace Woodland happen. At the heart of the Peace Woodland will be a bronze plaque as a dedication to peace. For £25, donors can add a name – their own name or the name of a friend or a family member – to be permanently inscribed in the Name of Peace. The oratorio Dona Nobis Pacem by Ralph Vaughan Williams provides the focus for an all-day ‘Come and Sing’ programme in Lichfield Cathedral from 9.30 a.m. to 5 p.m. on Saturday 17 November. People are being invited to spend the day in Lichfield Cathedral singing with Elise Fairley (soprano) and Alistair Donaghue (baritone), soloists from the Royal Birmingham Conservatoire, accompanied by Martyn Rawles and conducted by Paul Spicer. Dona Nobis Pacem was written by Vaughan Williams in 1936 to mark the centenary of the Huddersfield Choral Society. His passionate, heartfelt plea for peace came as a result of his experiences of World War I, the second Boer War and the looming threat of yet another World War. He chose words by the American poet Walt Whitman, sections of the Bible, a speech by the politician and anti-war campaigner John Bright during the Crimean War, and parts of the Mass for this oratorio. It is an intensely powerful work that moves everyone who sings or hears it. Paul Spicer is one of Britain’s most widely respected choral conductors. He teaches at the Royal Birmingham Conservatoire where he conducts the Chamber Choir, well-known for its many recordings, and at Oxford and Durham Universities. 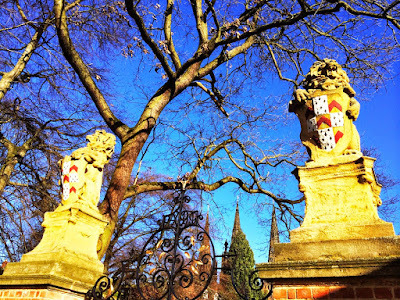 His ‘English Choral Experience’ courses are models of their kind in Britain and Europe. Martyn Rawles is Organist and Assistant Director of Music at Lichfield Cathedral, where he directs the girl choristers and plays for the majority of services. After the workshop, participants are invited to stay for Evensong at 5.30 p.m. The exhibition, ‘Not about Heroes …’ opened in the cathedral last month [18 September 2018] and continues until the end of this month [31 October 2018]. This exhibition displays 28 dramatic lino-cuts by contemporary artist Denis May interpreting poems by the World War I poet Wilfred Owen, who was killed seven days before the war ended. Wilfrid Owen said his poetry was not about heroes, adding: ‘My subject is War, and the pity of War.’ Denis May’s prints juxtapose religious and artistic subjects alongside scenes of war, giving a unique and universal commentary on the poems, and his pictures are on sale at the exhibition. The Band of the Mercian Regiment is presenting a spectacular evening of music and poetry in the Cathedral on Saturday 3 November. The programme includes music from the traditional through to film, contemporary and a few surprises. The evening is set in the cathedral nave, and the concert will raise funds for Lichfield Cathedral and the Mercian Regiment Chapel. The Poppy Fields, produced by Luxmuralis, is a stunning Poppies projection first shown during 'Before Action' in 2016. The event attracted national acclaim and has been on tour before returning to Lichfield Cathedral for three not-to-be-missed evenings next month: 8, 9 and 11 November. The cathedral will be bathed in light as visitors walk through the Poppy Fields of World War I. This emotional and poignant interior Son et Lumiere includes bespoke readings by the Oscar-winning actor Eddie Redmayne. On Remembrance Day, 11 November, a lone piper will play ‘Battle's Over – A Nation's Tribute’ at 6 a.m. at Lichfield Cathedral, followed by prayers. The services later in the day include the Eucharist at 8 a.m., a Remembrance Service at 10, the Act of Remembrance at the Memorial Garden at 11, and ‘Imagine Peace – a service of pledging to peace’ at 11.15. Later in the day, there is Evensong at 3 p.m., the Requiem Eucharist is celebrated at 5.30, and the ‘Battle’s Over – Ringing out for Peace’ at 7 p.m. The centenary programme continues in Lichfield Cathedral in December with the return of the multi-award-winning ‘Cathedral Illuminated’ from 17 to 22 December. One of the Gospel passages I have been working on this week is the Gospel reading Sunday 4 November 2018, the Fourth Sunday before Advent (Mark 12: 28-34). Working on this reading brought new insights into the significance of the tallit or traditional prayer shawl worn by pious Jews at prayer. The setting for this reading is the Temple in Jerusalem, where Christ is teaching in the Temple in Holy Week, where the Chief Priests, the scribes and the elders have challenged his authority to teach (Mark 11: 27-33), where he has been challenged by some Pharisees and Herodians (Mark 12: 13-17), and where some Sadducees question him also (Mark 12: 18-27). Now it is the turn of Scribes. A scribe who has overheard all these questions, answers and arguments. He is impressed by Jesus’s answers and the way in which he has avoided falling into the traps. This scribe has a question of his own, but he is asking genuinely without seeking to set another trap for Jesus. The scribes pay attention to the law and have intimate knowledge of its content. They are responsible for making copies of the law and teaching it to others (see Ezra 7: 6; Ezra 7: 10-12; Nehemiah 8: 1, 4, 9, 13. For example, Ezra ‘was a scribe skilled in the Law of Moses’ (Ezra 7: 6). In New Testament times, the scribes are usually Pharisees, although not all are Pharisees (see Matthew 5: 20, Matthew 12: 38). They support but sometimes also supplement the written law with their traditions (see Matthew 23: 2). In the Gospels, the titles ‘scribes’ and ‘lawyers’ are often interchangeable (see Matthew 22: 35; Mark 12: 28; Luke 20: 39). They are the public teachers of the people, and frequently come into collision with Christ. Later, many scribes are hostile to the apostles (see Acts 4: 5; Acts 6: 12). As the teachers of the people (Mark 1: 22) and interpreters of the Law, they are widely respected by the community because of their knowledge, dedication, and law-keeping. The scribes act responsibly and seriously in their task of preserving Scripture, and are faithful in the study of Scripture, particularly the Law and how it should be followed. They copy and recopy the Bible meticulously, even counting letters and spaces to ensure each copy is correct. They are professional at spelling out the letter of the Law, but in the Gospels are often charged with ignoring the spirit behind the law, so that the regulations and traditions added to the Law become more important than the Law itself. They know the Law and they teach it to others, but do not always honour the spirit of the Law. There are 613 commandments, precepts or mitzvot in Jewish law. They include positive commandments, to perform an act (mitzvot aseh), and negative commandments, to abstain from certain acts (mitzvot lo taaseh). The negative commandments number 365, which coincides with the number of days in the solar year, and the positive commandments number 248, said to be the number of bones and main organs in the human body (Babylonian Talmud, Makkot 23b–24a). Later in this chapter, in the reading provided for the following Sunday (Mark 12: 38-44), Christ refers to the fashion of the Scribes walking around in long robes (Mark 12: 38), perhaps a reference to an ostentatious display of prayer shawls that indicate a claim to observing each and every one of the 613 commandments. In some Jewish communities, a tallit is given as a gift by a father to a son, a father-in-law to a son-in-law, or a teacher to a student. It might be a present to mark a special occasion, such as a wedding or a bar mitzvah. Many parents buy a tallit for their sons when they reach the age of 13. In the Reform and Conservative movements, some women also wear a tallit. 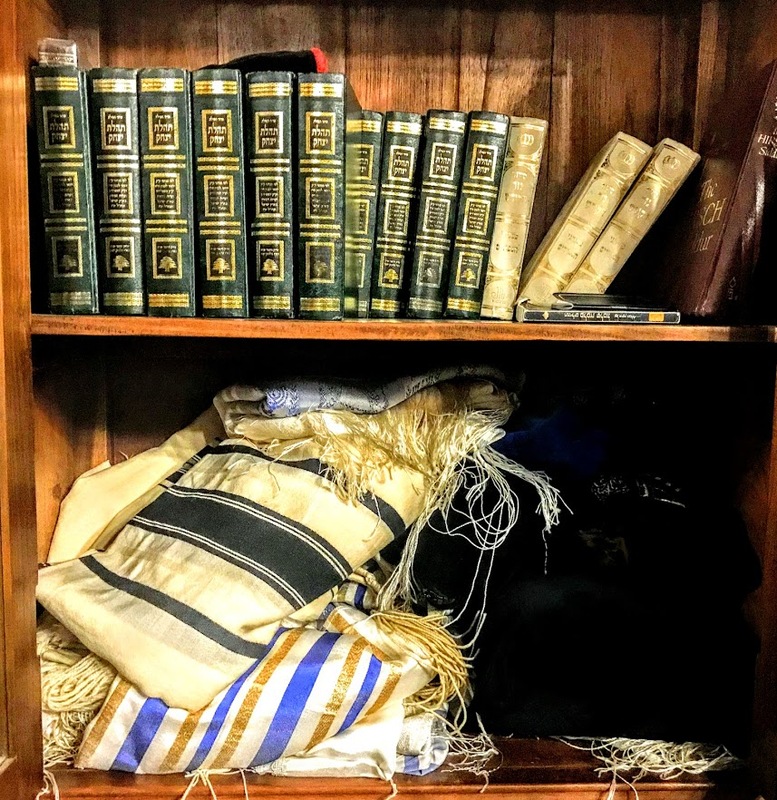 While many people bring their own tallit to a synagogue, there is usually a rack of them for visitors and guests to use. At Jewish wedding ceremonies, a tallit is often used as a chuppah or wedding canopy. Similarly, a tallit is traditionally spread out as a canopy over the children during the Torah-reading ceremony during the holiday of Simchat Torah, or in any procession with Torah scrolls, such as when parading a newly completed scroll through the streets. The tallit is traditionally draped over the shoulders, but during prayer, some cover their head with it, notably during specific parts of the service such as the Amidah, the central prayer or the Jewish liturgy, and when called to the Torah for an aliyah or reading in the synagogue. The tallit is typically either all white, white with black stripes, or white with blue stripes. The all-white and black-and-white varieties have traditionally been the most common, with the blue-and-white variety, in the past said to be in remembrance of the blue thread or tekhelet, becoming increasingly prevalent in recent years among non-Orthodox Jews because the colours blue and white are associated with the State of Israel. The all-white variety is customary among Sephardic communities, but in Ashkenazic communities white tallitot with black stripes are more traditional. One tradition says the black stripes symbolise the destruction of the Temple in Jerusalem and the exile of the Jews from the land of Israel. In the Gospel passage I have been working on, the Scribe in the Temple is probably wearing a full-length tallit, and now he wants to know which of one of the 613 commandments symbolised in his tallit is the most important. In his reply, Christ offers not one but two commandments or laws. But it is interesting to notice how neither is quoted from the Ten Commandments (see Exodus 20: 1-17 and Deuteronomy 5: 4-21). Instead, Christ steps outside the Ten Commandments and quotes from Deuteronomy 6: 4-5, and Leviticus 19: 18. The first command Christ quotes is the shema, ‘Hear, O Israel, ...’ (verse 29), recited twice daily by pious Jews. The shema became a prayer composed from Deuteronomy 6: 4-9 and 11: 13-21, and to this day it is recited twice a day in Jewish practice. Christ links this first commandment to a second, ‘You shall love your neighbour as yourself’ (verse 31). Once again, he is not quoting from the Ten Commandments; instead, here he is quoting Leviticus 19: 18. Hillel the Elder (ca 110 BC to 10 AD), who was asked a similar question, cited this verse as a most important message of the Torah for his teachings. Once, Hillel was challenged by a gentile who asked to be converted on condition that the Torah was explained to him while he stood on one foot. Hillel accepted him as a candidate for conversion to Judaism but, drawing on Leviticus 19:18, told the man: ‘Do not do to anyone else what is hateful to you: this is the whole Torah; the rest is the explanation; go and learn’ (Babylonian Talmud, Shabbath 31a). For responding in this way, Christ tells this scribe that he has answered wisely and is near the kingdom of God (verse).